I am only lacking the Bison & Desert Big Horn only due to lack of drawing a tag. I lack both the Sitka & Colombian Blacktails to complete my North American Deer Slam. Included are the Osceola and Rio turkeys along with the Mountain & Woodland Caribou for these slams. 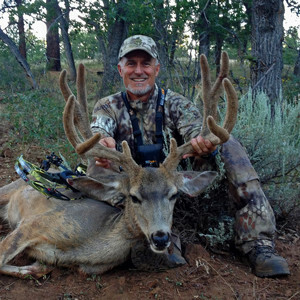 I hunt wherever my bow will take me throughout the state of Arizona as well as Utah, Colorado, New Mexico, California, Missouri, Kansas and the occasion trip to Mexico and Canada.